It’s a little before three on a sunny Friday afternoon and Laugardalur Park, near central Reykjavik, looks practically deserted. There’s an occasional adult with a pushchair, but the park’s surrounded by apartment blocks and houses, and school’s out – so where are all the kids? We approach a large building. “And here we have the indoor skating,” says Gudberg. A couple of minutes ago, we passed two halls dedicated to badminton and ping pong. Here in the park, there’s also an athletics track, a geothermally heated swimming pool and – at last – some visible kids, excitedly playing football on an artificial pitch. Young people aren’t hanging out in the park right now, Gudberg explains, because they’re in after-school classes in these facilities, or in clubs for music, dance or art. Or they might be on outings with their parents. Today, Iceland tops the European table for the cleanest-living teens. The percentage of 15- and 16-year-olds who had been drunk in the previous month plummeted from 42 per cent in 1998 to 5 per cent in 2016. The percentage who have ever used cannabis is down from 17 per cent to 7 per cent. Those smoking cigarettes every day fell from 23 per cent to just 3 per cent. If it was adopted in other countries, Milkman argues, the Icelandic model could benefit the general psychological and physical wellbeing of millions of kids, not to mention the coffers of healthcare agencies and broader society. It’s a big if. Milkman’s doctoral dissertation concluded that people would choose either heroin or amphetamines depending on how they liked to deal with stress. Heroin users wanted to numb themselves; amphetamine users wanted to actively confront it. After this work was published, he was among a group of researchers drafted by the US National Institute on Drug Abuse to answer questions such as: why do people start using drugs? Why do they continue? When do they reach a threshold to abuse? When do they stop? And when do they relapse? At Metropolitan State College of Denver, Milkman was instrumental in developing the idea that people were getting addicted to changes in brain chemistry. Kids who were “active confronters” were after a rush – they’d get it by stealing hubcaps and radios and later cars, or through stimulant drugs. Alcohol also alters brain chemistry, of course. It’s a sedative but it sedates the brain’s control first, which can remove inhibitions and, in limited doses, reduce anxiety. By 1992, his team in Denver had won a $1.2m government grant to form Project Self-Discovery, which offered teenagers natural-high alternatives to drugs and crime. They got referrals from teachers, school nurses and counsellors, taking in kids from the age of 14 who didn’t see themselves as needing treatment but who had problems with drugs or petty crime. “We didn’t say to them, you’re coming in for treatment. We said, we’ll teach you anything you want to learn: music, dance, hip hop, art, martial arts.” The idea was that these different classes could provide a variety of alterations in the kids’ brain chemistry, and give them what they needed to cope better with life: some might crave an experience that could help reduce anxiety, others may be after a rush. At the same time, the recruits got life-skills training, which focused on improving their thoughts about themselves and their lives, and the way they interacted with other people. “The main principle was that drug education doesn’t work because nobody pays attention to it. What is needed are the life skills to act on that information,” Milkman says. Kids were told it was a three-month programme. Some stayed five years. In 1991, Milkman was invited to Iceland to talk about this work, his findings and ideas. He became a consultant to the first residential drug treatment centre for adolescents in Iceland, in a town called Tindar. “It was designed around the idea of giving kids better things to do,” he explains. It was here that he met Gudberg, who was then a psychology undergraduate and a volunteer at Tindar. They have been close friends ever since. Milkman started coming regularly to Iceland and giving talks. These talks, and Tindar, attracted the attention of a young researcher at the University of Iceland, called Inga Dóra Sigfúsdóttir. She wondered: what if you could use healthy alternatives to drugs and alcohol as part of a programme not to treat kids with problems, but to stop kids drinking or taking drugs in the first place? Have you ever tried alcohol? If so, when did you last have a drink? Have you ever been drunk? Have you tried cigarettes? If so, how often do you smoke? How much time to you spend with your parents? Do you have a close relationship with your parents? What kind of activities do you take part in? In 1992, 14-, 15- and 16-year-olds in every school in Iceland filled in a questionnaire with these kinds of questions. This process was then repeated in 1995 and 1997. The results of these surveys were alarming. Nationally, almost 25 per cent were smoking every day, over 40 per cent had got drunk in the past month. But when the team drilled right down into the data, they could identify precisely which schools had the worst problems – and which had the least. Their analysis revealed clear differences between the lives of kids who took up drinking, smoking and other drugs, and those who didn’t. A few factors emerged as strongly protective: participation in organised activities – especially sport – three or four times a week, total time spent with parents during the week, feeling cared about at school, and not being outdoors in the late evenings. Using the survey data and insights from research including Milkman’s, a new national plan was gradually introduced. It was called Youth in Iceland. Laws were changed. It became illegal to buy tobacco under the age of 18 and alcohol under the age of 20, and tobacco and alcohol advertising was banned. Links between parents and school were strengthened through parental organisations which by law had to be established in every school, along with school councils with parent representatives. Parents were encouraged to attend talks on the importance of spending a quantity of time with their children rather than occasional “quality time”, on talking to their kids about their lives, on knowing who their kids were friends with, and on keeping their children home in the evenings. A law was also passed prohibiting children aged between 13 and 16 from being outside after 10pm in winter and midnight in summer. It’s still in effect today. Home and School, the national umbrella body for parental organisations, introduced agreements for parents to sign. The content varies depending on the age group, and individual organisations can decide what they want to include. For kids aged 13 and up, parents can pledge to follow all the recommendations, and also, for example, not to allow their kids to have unsupervised parties, not to buy alcohol for minors, and to keep an eye on the wellbeing of other children. State funding was increased for organised sport, music, art, dance and other clubs, to give kids alternative ways to feel part of a group, and to feel good, rather than through using alcohol and drugs, and kids from low-income families received help to take part. 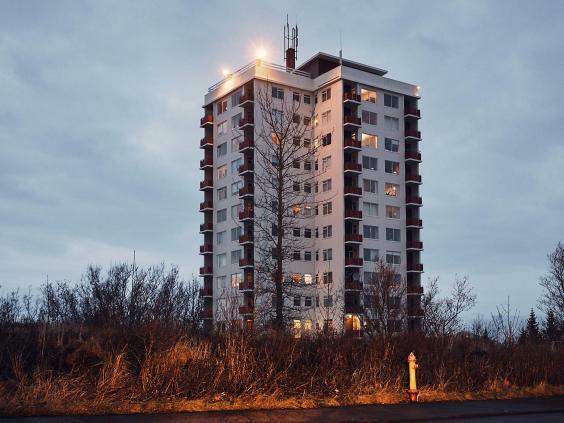 In Reykjavik, for instance, where more than a third of the country’s population lives, a Leisure Card gives families 35,000 krona (£250) per year per child to pay for recreational activities. Crucially, the surveys have continued. Each year, almost every child in Iceland completes one. This means up-to-date, reliable data is always available. Between 1997 and 2012, the percentage of kids aged 15 and 16 who reported often or almost always spending time with their parents on weekdays doubled – from 23 per cent to 46 per cent – and the percentage who participated in organised sports at least four times a week increased from 24 per cent to 42 per cent. Meanwhile, cigarette smoking, drinking and cannabis use in this age group plummeted. Jón Sigfússon apologies for being just a couple of minutes late. “I was on a crisis call!” He prefers not to say precisely to where, but it was to one of the cities elsewhere in the world that has now adopted, in part, the Youth in Iceland ideas. Participation in Youth in Europe is at a municipal level rather than being led by national governments. In the first year, there were eight municipalities. To date, 35 have taken part, across 17 countries, varying from some areas where just a few schools take part to Tarragona in Spain, where 4,200 15-year-olds are involved. The method is always the same: Jón and his team talk to local officials and devise a questionnaire with the same core questions as those used in Iceland plus any locally tailored extras. For example, online gambling has recently emerged as a big problem in a few areas, and local officials want to know if it’s linked to other risky behaviour. Just two months after the questionnaires are returned to Iceland, the team sends back an initial report with the results, plus information on how they compare with other participating regions. “We always say that, like vegetables, information has to be fresh,” says Jón. “If you bring these findings a year later, people would say, Oh, this was a long time ago and maybe things have changed…” As well as fresh, it has to be local so that schools, parents and officials can see exactly what problems exist in which areas. The team has analysed 99,000 questionnaires from places as far afield as the Faroe Islands, Malta and Romania – as well as South Korea and, very recently, Nairobi and Guinea-Bissau. Broadly, the results show that when it comes to teen substance use, the same protective and risk factors identified in Iceland apply everywhere. There are some differences: in one location (in a country “on the Baltic Sea”), participation in organised sport actually emerged as a risk factor. Further investigation revealed that this was because young ex-military men who were keen on muscle-building drugs, drinking and smoking were running the clubs. Here, then, was a well-defined, immediate, local problem that could be addressed. While Jón and his team offer advice and information on what has been found to work in Iceland, it’s up to individual communities to decide what to do in the light of their results. Occasionally, they do nothing. One predominantly Muslim country, which he prefers not to identify, rejected the data because it revealed an unpalatable level of alcohol consumption. In other cities – such as the origin of Jón’s “crisis call” – there is an openness to the data and there is money, but he has observed that it can be much more difficult to secure and maintain funding for health prevention strategies than for treatments. Across Europe, rates of teen alcohol and drug use have generally improved over the past 20 years, though nowhere as dramatically as in Iceland, and the reasons for improvements are not necessarily linked to strategies that foster teen wellbeing. In the UK, for example, the fact that teens are now spending more time at home interacting online rather than in person could be one of the major reasons for the drop in alcohol consumption. But Kaunas, in Lithuania, is one example of what can happen through active intervention. Since 2006, the city has administered the questionnaires five times, and schools, parents, healthcare organisations, churches, the police and social services have come together to try to improve kids’ wellbeing and curb substance use. For instance, parents get eight or nine free parenting sessions each year, and a new programme provides extra funding for public institutions and NGOs working in mental health promotion and stress management. In 2015, the city started offering free sports activities on Mondays, Wednesdays and Fridays, and there are plans to introduce a free ride service for low-income families, to help kids who don’t live close to the facilities to attend. Between 2006 and 2014, the number of 15- and 16-year-olds in Kaunas who reported getting drunk in the past 30 days fell by about a quarter, and daily smoking fell by more than 30 per cent. After our walk through Laugardalur Park, Gudberg Jónsson invites us back to his home. Outside, in the garden, his two elder sons, Jón Konrád, who’s 21, and Birgir Ísar, who’s 15, talk to me about drinking and smoking. Jón does drink alcohol, but Birgir says he doesn’t know anyone at his school who smokes or drinks. 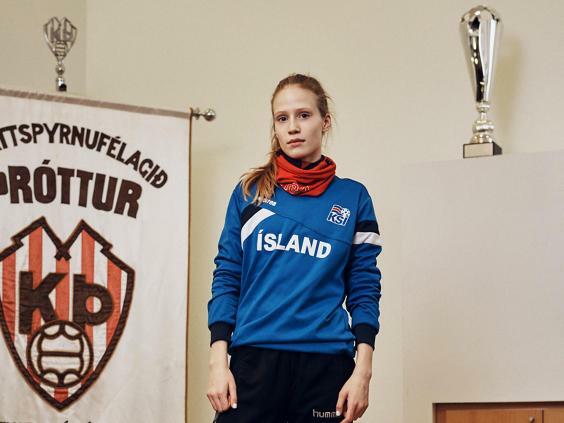 We also talk about football training: Birgir trains five or six times a week; Jón, who is in his first year of a business degree at the University of Iceland, trains five times a week. They both started regular after-school training when they were six years old. It’s not all they do. While Gudberg and his wife Thórunn don’t consciously plan for a certain number of hours each week with their three sons, they do try to take them regularly to the movies, the theatre, restaurants, hiking, fishing and, when Iceland’s sheep are brought down from the highlands each September, even on family sheep-herding outings. 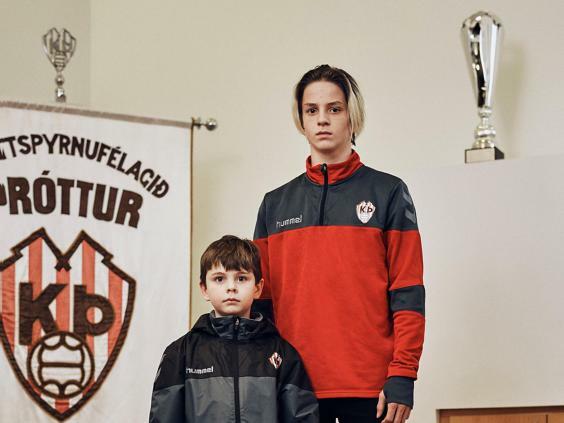 Jón and Birgir may be exceptionally keen on football, and talented (Jón has been offered a soccer scholarship to the Metropolitan State University of Denver, and a few weeks after we meet, Birgir is selected to play for the under-17 national team). But could the significant rise in the percentage of kids who take part in organised sport four or more times a week be bringing benefits beyond raising healthier children? Could it, for instance, have anything to do with Iceland’s crushing defeat of England in the Euro 2016 football championship? When asked, Inga Dóra Sigfúsdóttir, who was voted Woman of the Year in Iceland in 2016, smiles: “There is also the success in music, like Of Monsters and Men [an indie folk-pop group from Reykjavik]. These are young people who have been pushed into organised work. Some people have thanked me,” she says, with a wink. Elsewhere, cities that have joined Youth in Europe are reporting other benefits. In Bucharest, for example, the rate of teen suicides is dropping alongside use of drink and drugs. In Kaunas, the number of children committing crimes dropped by a third between 2014 and 2015. When it comes down to it, the messages – if not necessarily the methods – are straightforward. And when he looks at the results, Harvey Milkman thinks of his own country, the US. 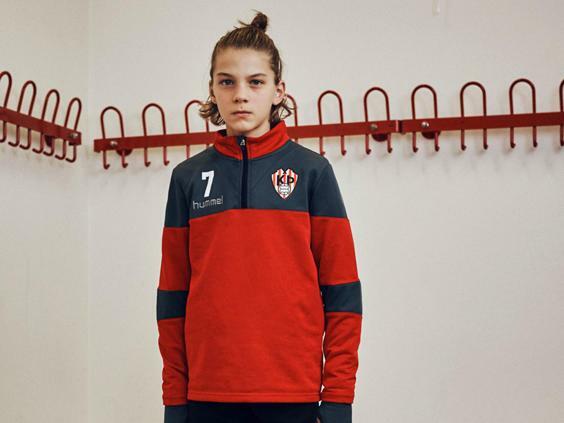 Could the Youth in Iceland model work there, too? Three hundred and twenty-five million people versus 330,000. Thirty-three thousand gangs versus virtually none. Around 1.3 million homeless young people versus a handful. Clearly, the US has challenges that Iceland does not. But the data from other parts of Europe, including cities such as Bucharest with major social problems and relative poverty, shows that the Icelandic model can work in very different cultures, Milkman argues. And the need in the US is high: underage drinking accounts for about 11 per cent of all alcohol consumed nationwide, and excessive drinking causes more than 4,300 deaths among under-21 year olds every year. A national programme along the lines of Youth in Iceland is unlikely to be introduced in the US, however. One major obstacle is that while in Iceland there is long-term commitment to the national project, community health programmes in the US are usually funded by short-term grants. He thinks that is because you can’t prescribe a generic model to every community because they don’t all have the same resources. Any move towards giving kids in the US the opportunities to participate in the kinds of activities now common in Iceland, and so helping them to stay away from alcohol and other drugs, will depend on building on what already exists. “You have to rely on the resources of the community,” he says. His colleague Álfgeir Kristjánsson is introducing the Icelandic ideas to the state of West Virginia. Surveys are being given to kids at several middle and high schools in the state, and a community coordinator will help get the results out to parents and anyone else who could use them to help local kids. But it might be difficult to achieve the kinds of results seen in Iceland, he concedes. Short-termism also impedes effective prevention strategies in the UK, says Michael O’Toole, CEO of Mentor, a charity that works to reduce alcohol and drug misuse in children and young people. Here, too, there is no national coordinated alcohol and drug prevention programme. It’s generally left to local authorities or to schools, which can often mean kids are simply given information about the dangers of drugs and alcohol – a strategy that, he agrees, evidence shows does not work. O’Toole fully endorses the Icelandic focus on parents, school and the community all coming together to help support kids, and on parents or carers being engaged in young people’s lives. Improving support for kids could help in so many ways, he stresses. Even when it comes just to alcohol and smoking, there is plenty of data to show that the older a child is when they have their first drink or cigarette, the healthier they will be over the course of their life. But not all the strategies would be acceptable in the UK – the child curfews being one, parental walks around neighbourhoods to identify children breaking the rules perhaps another. And a trial run by Mentor in Brighton that involved inviting parents into schools for workshops found that it was difficult to get them engaged. In Iceland, the relationship between people and the state has allowed an effective national programme to cut the rates of teenagers smoking and drinking to excess – and, in the process, brought families closer and helped kids to become healthier in all kinds of ways. Will no other country decide that these benefits are worth the costs?